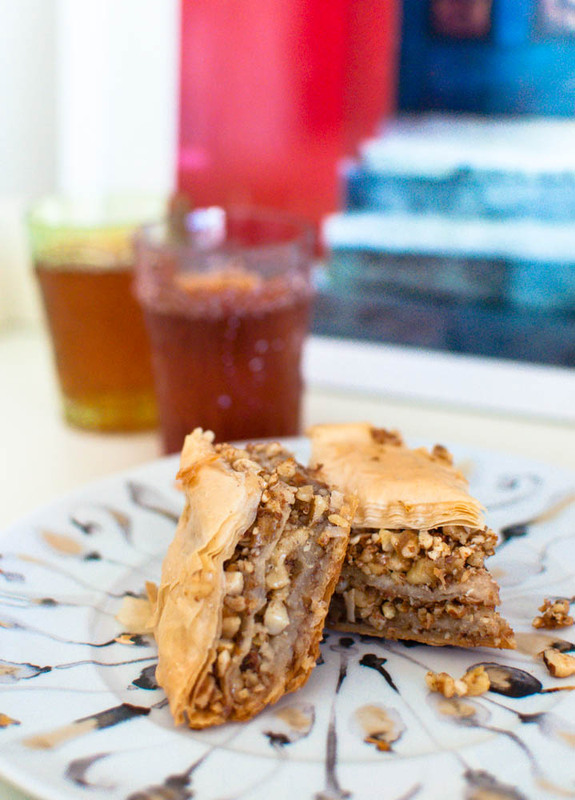 Flaky, crispy, sweet and nutty, baklava is a beautiful thing. And what can make it better? When it’s homemade by YS’ mom of course! The phyllo dough on top are airy and shatters as soon as I bite into them. Thick layers of nuts are enrobed in just the right amount of sweet honey syrup with a hint of orange. A perfect afternoon snack to accompany a cup of black tea.